A federal appeals court says the president should have the power to fire the head of the Consumer Financial Protection Bureau. The decision Tuesday weakens the authority of the nation's top consumer watchdog and an agency considered one of President Barack Obama's signature accomplishments. The appeals court, in Washington, did not dismantle the agency. But it ruled the appointment process unconstitutional and made the director's job one the president can supervise, direct and change at any time. That opens the door for a shakeup, especially if Donald Trump wins the presidency next month. The CFPB said it "respectfully disagrees" with the court and is looking at how it might challenge the decision. In the meantime, it said the decision "will not dampen our efforts or affect our focus on the mission of the agency." The CFPB was established in 2011 as part of the Dodd-Frank Act after the financial crisis. Obama angered Republicans in 2012 by installing its first director, Richard Cordray, while the Senate was in recess. The Senate confirmed him for a full five-year term in 2013. Republicans have tried for years to weaken the agency, whose very existence was opposed by much of the financial industry. Some efforts have focused on replacing the director with a committee or making it easier to challenge the bureau's rules. Other independent agencies are usually led by commissioners or board members. The appeals court appeared to agree with at least some criticism of the consumer agency. It wrote that the director "enjoys more unilateral authority" than any other officer in the federal government. The court also wrote that concentrating power in a "single, unaccountable, unchecked director" departs from typical practice and "poses a far greater risk of arbitrary decision-making and abuse of power" than agencies led by more than one person. The civil suit was brought by PHH, a mortgage lender. 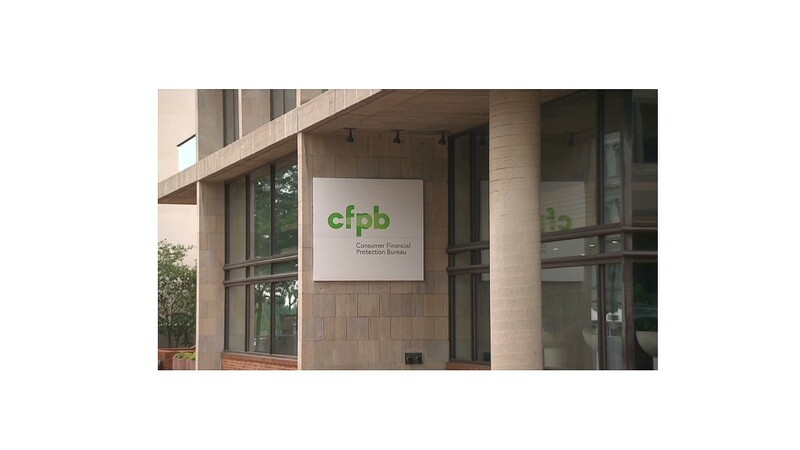 It was fined $109 million by the consumer agency last year for referring customers to mortgage insurance companies in exchange for kickbacks.